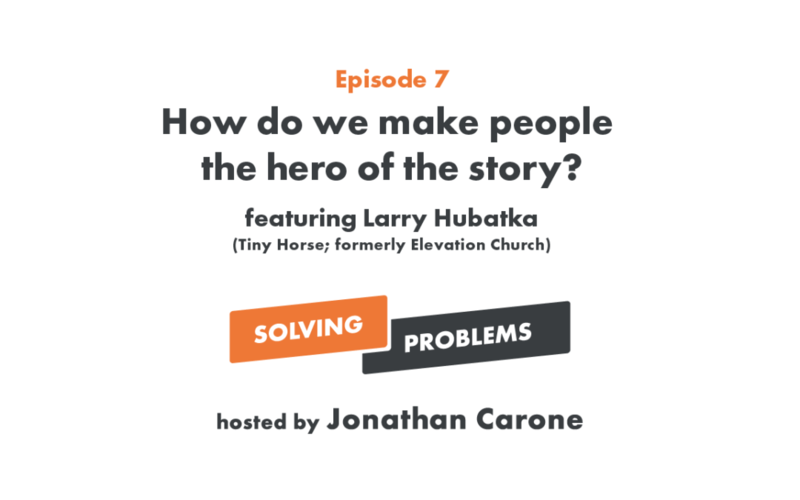 In the season 2 kick-off, we talk with Tiny Horse GM and former Elevation Church Creative Pastor Larry Hubatka to try to solve problems like isn’t Jesus the hero of the story? (6:17), how does marketing factor into the church? (7:11), what does the word hero even mean? (10:13), what are some ways we make people the hero? (11:58), and how do we make people feel like they belong? (17:33) He also shares how Elevation Church tracks their discipleship process (22:40) and gives us a grid for how making people the hero changes how we do ministry (27:51). Featuring Jonathan Carone, Kyler Nixon, and Larry Hubatka.